No one in the greater Illinois area has more pre-owned trucks and trailers to choose from.We sell solutions, not problems. That’s why all of our name-brand equipment is in top mechanical shape and ready to roll. No one in the greater Illinois area has more pre-owned trailers to choose from. We sell solutions, not problems. That’s why all of our name-brand equipment is in top mechanical shape and ready to roll. If you have a short-term trailer or yard truck need, we’ve got plenty of monthly rentals available for flatbeds, reefers, van trailers and spotter trucks. We’re Chicago’s #1 In Trailer Repairs And Service As Well. 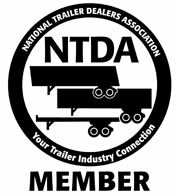 We offer FHWA Trailer Inspections, Trailer Repair, On-The-Road Emergency Service, Competitive Hourly Rate, and Certified Trailer Repair Technicians! With over thirty years in the truck and trailer business, our customers have consistently voted us the #1 Illinois premiere trailer sales, rental and service facility with the only vote that counts – their repeat business. When you’re talking trailer sales, service, rentals and repairs, you’re talking Fleet Equipment Center. Call 630-739-4330, or come by our yard at 555 E. South Frontage Rd. Bolingbrook, IL, or contact us today. We’re here to help.